Balling up the nerve to ask your crush to prom isn't always easy like Sunday. Stakes can be high. Will it end in sweaty-palmed triumph? One-two-punch trauma? And these days, there's an added factor to consider: How much double-tap action will it get on Instagram? That's right: The promposal is a thing. Dissected, this is "prom proposal." Broken down further, I turn it over to Bruceleesdaddy on Urban Dictionary, who defines it as: "The act of contriving an elaborate plan to increase your chances of getting at [sic] prom, that may (1) end in utter, humiliating failure, because high school relationships totally matter, or (2) result in a pseudomarriage that comes with an order of epicburger with fries on the side." Kk. But seriously. The basic ritual is old hat. Naturally, though, modern social media cranks up the ante. 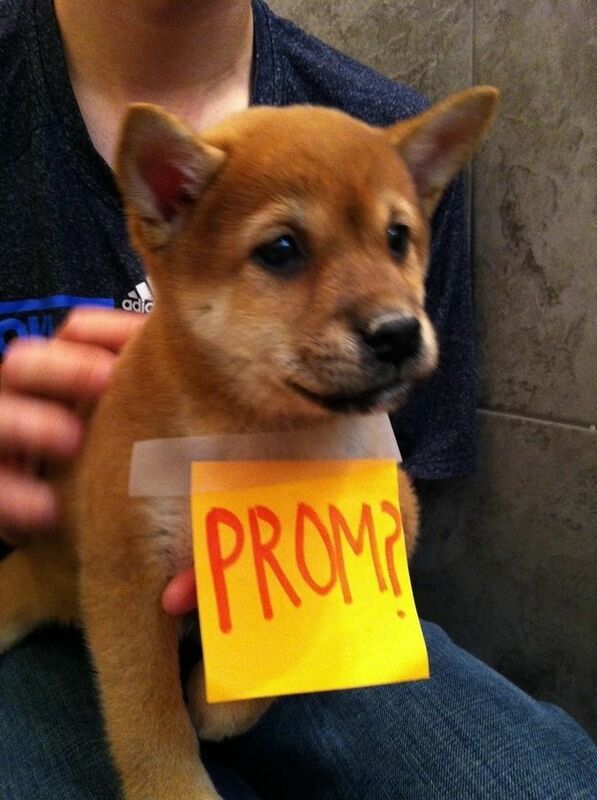 Browse @ThePromposal on Twitter for a taste, or any number of promposal roundups, like this one on BuzzFeed. You'll quickly notice there are definitely different photo ops, er, approaches – most featuring the four-letter word ("PROM") with a question mark (or five). The car is one common canvas. You've got your finger-written-on-a-dirty-white truck version or more painstaking "Post-It" promposal. Food is another no-duh. How about a fancy-pants coffee, with the inquiry scribbled in Sharpie? And c'mon: What teen is going to refuse chicken wings or pizza (it's almost not fair). Or, for the design-savvy kids, there's the Ben & Jerry's ice cream spin – which doubles as a consolation prize, just in case. There's something for the sporty couple, the candle-light-and-rose-petals romantic set and even the suckers for ridiculously cute puppies. Prefer a more-macabre bent? We've got cute-zombie-girl-with-cupcakes and, uh, dead-dude-in-khaki-shorts-in-what-appears-to-be-his-mom's-bedroom. These kids totally get an A-plus for effort. There's some truly clever, sidesplitting and heartfelt stuff out there. As you can see, though, even by clicking a couple of the links littering this page, it's also super web-public. These things go viral. It's not a private or simple affair. There's an air of YouTube-readiness to it all. And pressure. Amirite? "Gone are the days when you could simply ask the object of your affection to prom," says Andrea Romano in her Mashable roundup. "Now, you have to have a plan." Not to mention an audience. Like the Brooklyn guy who "popped the question" to his girlfriend in front of his class on his senior trip in Italy. C'mon, bro. But it can be kinda inspiring, too. Like busting through old guys-asking-girls gender stereotypes. 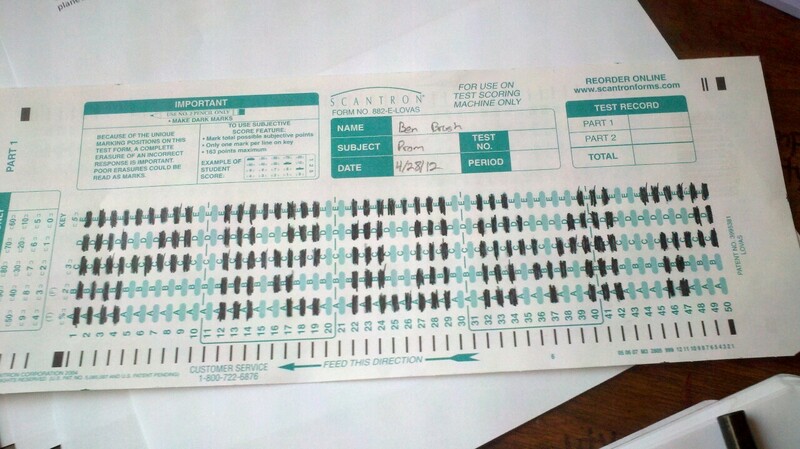 Or just being downright academically awesome. I just hope most of these showy props wound up more-or-less positive for both of the main parties involved. And that no one else gets whapped by any trees. Safety first, kids. Happy promming.